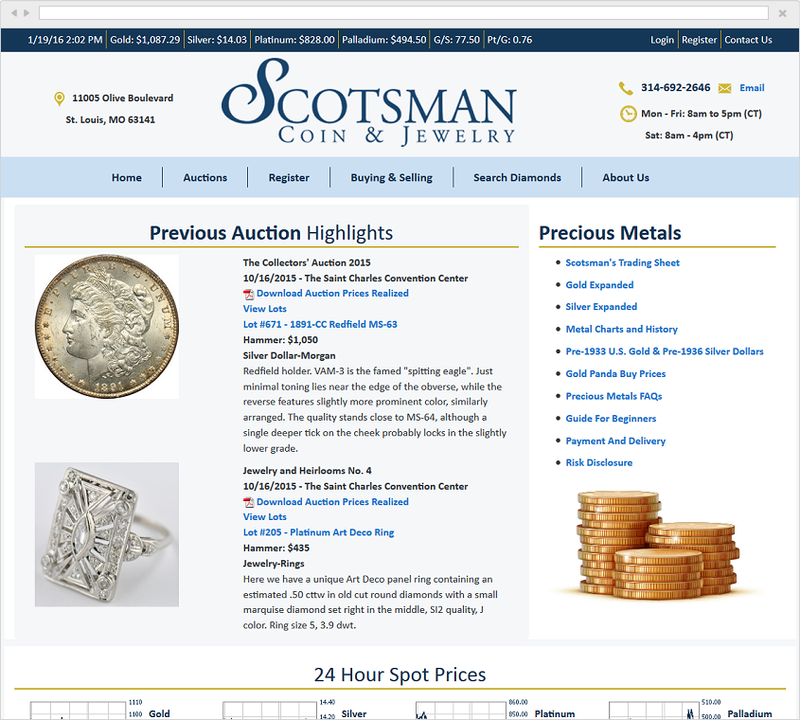 Scotsman Coin & Jewelry is an industry leader the in the rare coin and bullion industry. Scotsman is located outside of St. Louis in Creve Coeur, MO. 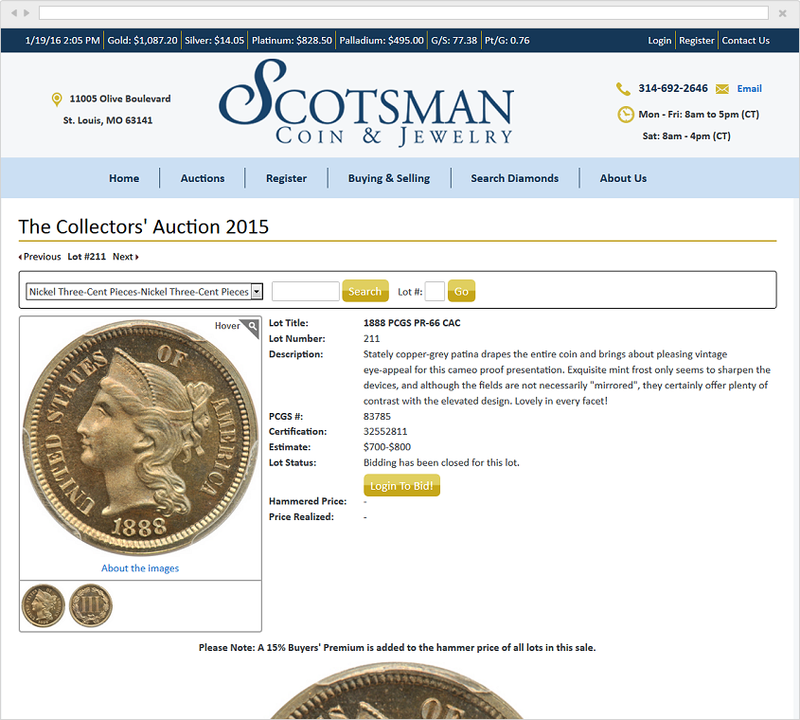 Scotsman Coin was conducting online auctions using classic .ASP web pages with data stored in an Access database. While still supported by Microsoft, the technology was superseded by ASP.NET in 2002. The existing code base was incompatible with the new inventory management system built by Vega. The web site itself also need an update to improve the user experience and work with mobile devices. John Woodside, the Vice President at Scotsman, worked with the staff at Daley Design to craft the new user experience. Daley Design, located in St. Louis, crafted the UI elements and basic template use for each of the pages. One of the design requirements was "responsiveness". The page layout had to adapt based on the device used for viewing the site. We chose the Bootstrap framework based on its strong feature set and active support in the web development industry. The developers at Vega then took the templates and used them to drive the look and feel of the new web page. We built a database-driven web site that handles the auction bidding process from start to finish. 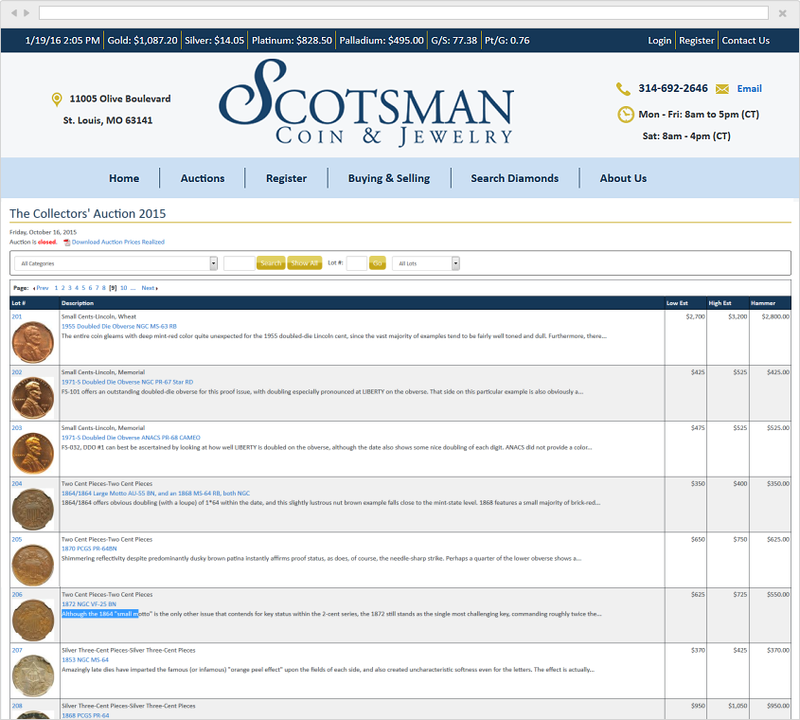 The Scotsman site handles auction registration, browsing lots, searches, lot viewing, online bidding and advanced reporting.